Edward (Ted) Affleck, 1924-2003, was born in Nelson, in British Columbia, Canada. The Arrow Lakes, on which Nelson sits, are part of the Columbia River system, which was a major steamboat thoroughfare. Affleck rode on many of the sternwheelers plying this waterway, and developed an abiding fascination in these vessels. 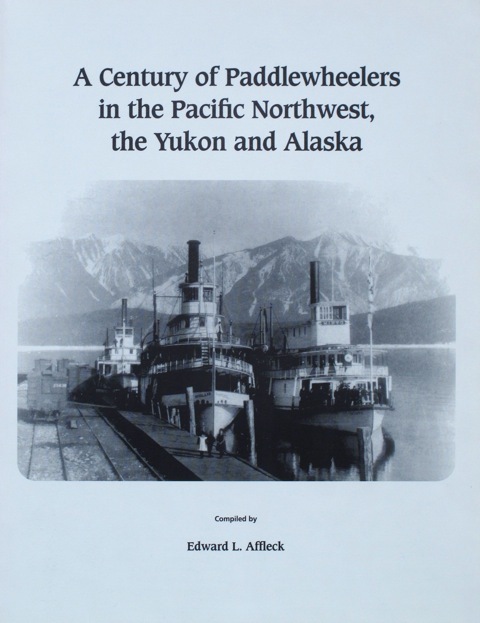 He authored more than half a dozen books and countless articles on the subject, after interviewing many of the last remaining steamboat captains and crew in the Pacific Northwest. His interest in steamboats was matched by an equal love for music, especially opera, on which Affleck wrote numerous articles and one (unpublished) book. He was considered an expert in both fields.